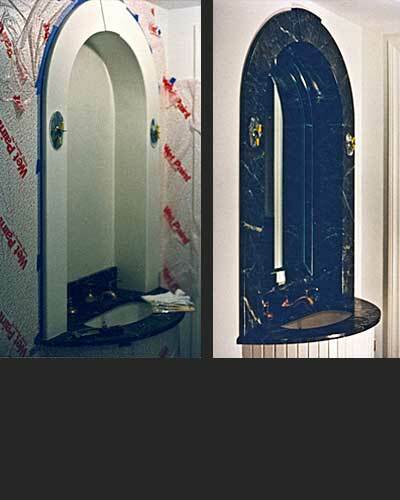 The Italian Grand faux marble was painted on a curved bump-out surrounding an inset mirror above a vanity. 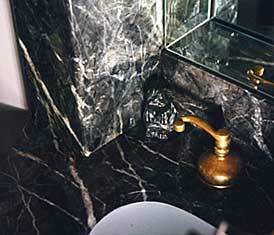 The vanity top was true Italian Grand marble. As can be seen in the pictures, the faux italian grand matches the real marble exactly.